No particular order to this, just posting as I write them. Would Quite Like: Another season like last year. Though with a few more goals and wins over West Brom thrown in. Mick McCarthy and the healthy glow of Premier League survival. Thoughts: Mick McCarthy did very well last season and finally shed his tag as a manager who can’t win in the top flight. Transfer business was conducted early and efficiently and consisted of buying more players who can complement the ones already at the club. Steven Fletcher will give Wolves a valid way of playing 442 at home while Stephen Hunt was one of Hull’s few positives last season and gives energetic running, some creativity and plenty of backchat. I don’t see Wolves getting worse nor do I see them particularly improving this year. A few more 1-0s and they’ll be right about where they were last season. Hello hello, long time no speak. This week there’s no Photoshop theme in the Guardian, merely a collection of the year’s best entries. 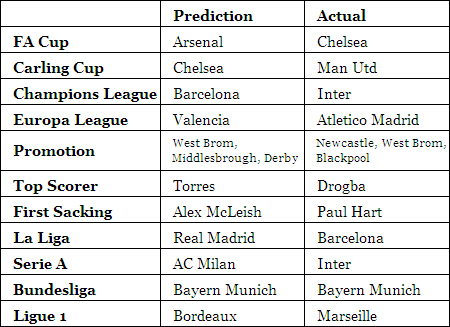 They’ve decided to not just use the weekly winners (not sure why) hence Emmanuel Eboue gets in from way back in January while October’s effort for Old Trafford Injury Time also makes it. 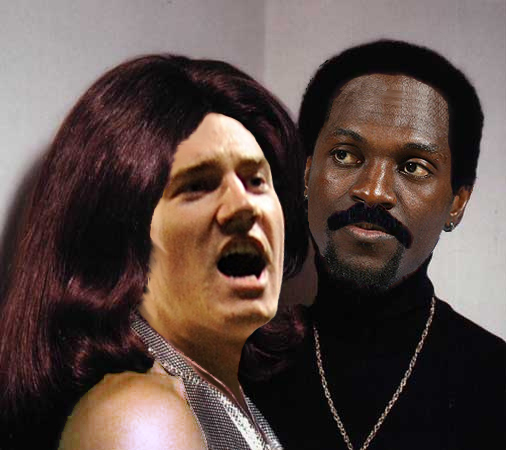 Nicklas may think he's "simply the best, better than all the rest" but sadly for him Ade is the Ike in this relationship. 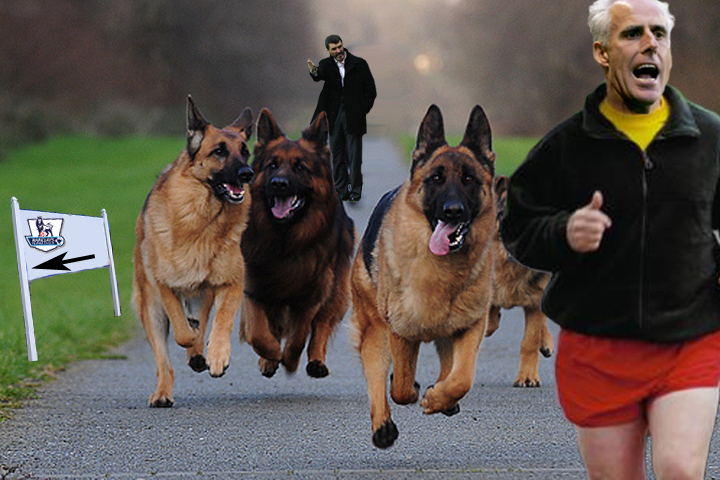 Mick McCarthy may have escaped Keane's clutches for now but he'll soon hunt him down. Hope you enjoyed them all, I’m going to try to spend more time on them next year. 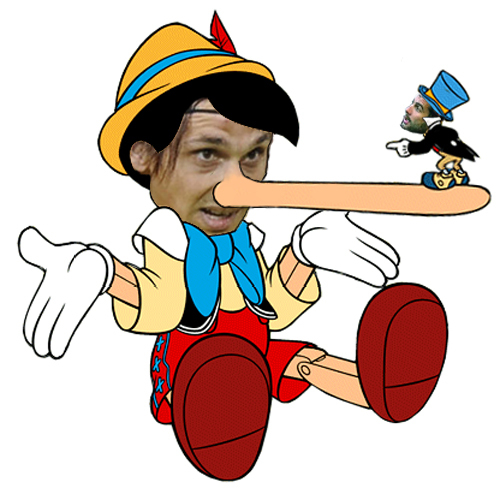 Alberto Aquilani is first up in the new year. 1. Chelsea showed Arsenal what it takes to be champions elect yesterday with a lesson in how to blend skill with power. Up until the first goal Arsenal were in control without really doing anything, though Chelsea could have had a penalty for Sagna’s foul on Anelka. 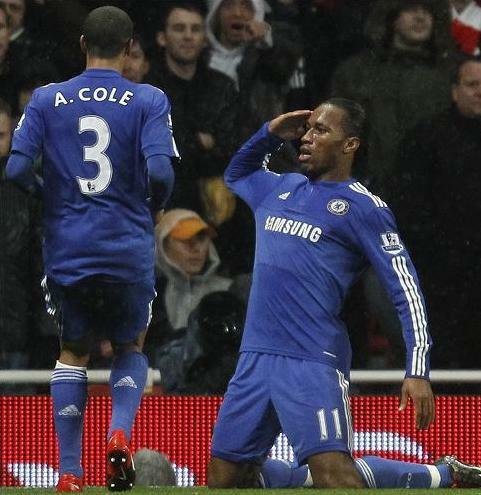 Then out of nothing Cole wasn’t closed down and a great cross came over for Drogba to finish clinically. The defending wasn’t the best. Sagna could have made a better attempt to prevent the cross from Cole and one of the centre backs could have cleared it but it was a great ball in. A couple of minutes later an almost identical goal was scored. Cole again had time and space to put in a great ball from the left but this time it went in off Vermaelen who was expecting Gallas to clear it. Two quick goals before half time, game over. The second half was notable for Arshavin’s disallowed goal, Drogba’s free kick to wrap up the victory and nothing more. The game showed exactly how far Arsenal have to go if they are to match Chelsea. Ancelotti’s team had height and strength all over the pitch as well as skill, overpowering Arsenal everywhere. Wenger was missing Van Persie, Bendtner and Diaby who all would have played in this game and perhaps made a difference. 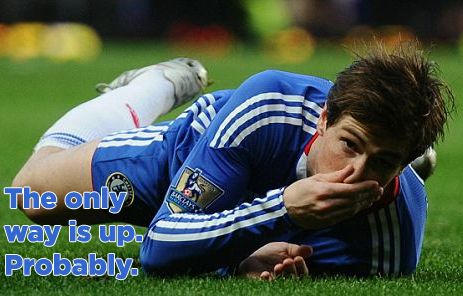 However you’d imagine that even with them on the pitch Chelsea would find have found a way to win. For some reason there was a constant stream of hopeful crosses and medium length passes to the forward line of Arshavin, Nasri and Eduardo, who every time were beaten in the air by Terry & co. It changed a little in the second half but there were mainly lots of runs up blind alleys. Eduardo in particular looked well off the pace and badly needs a meaningful goal while Arshavin continued his peripheral form of this season. Walcott was poor when he came on and there are no true wingers at the clubs, instead lots of inside forward types. I find it so hard to decide who I dislike more in this picture. As for Drogba, Arsenal must be sick of him. Two great goals and an all action performance in tandem with Anelka. He now has 10 goals in 11 games vs Arsenal and has been directly the match winner six times. I think Almunia should have done better with the third goal; his positioning was wrong (why move behind the wall?) and thus the ball was already in the net before he even reached with his dive. Wenger can say the disallowed goal was pivotal but I disagree. As in the game against Man Utd, having all the possession is pointless if you can’t do anything with it. The reason why Chelsea and Man Utd have been the two top teams for the past few years is that they can soak up pressure and still win. Arsenal have yet to discover that method. 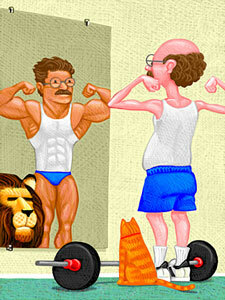 What you see and what you get. 2. Everton lost again and although there’s no shame in being beaten by Liverpool (actually…) you sense that perhaps Moyes has taken them as far as he can. That’s not to say he isn’t right for the job and the Scot has done wonders with the budget and constraints he has but maybe something needs freshening up. Everton won’t reach the heights of the past few seasons and the constant long-term injuries to key players means a likely finish outside the top eight this year. 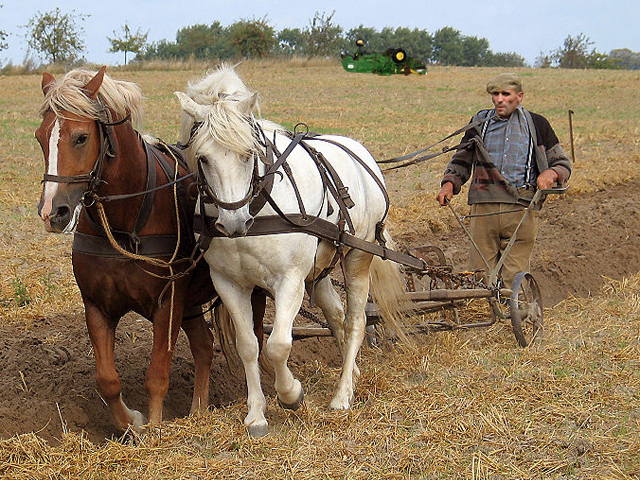 With the Kirkby stadium plans rejected and no buyers for the club, the future looks a little uncertain at Goodison. 3. Is the clock ticking for Mark Hughes? Seven straight draws now. Funny how you can say they’re unbeaten in ten or without a win in seven. Hughes will no doubt slant to the former but I suspect the owners will be looking at the latter. Of the seven games (Villa A, Wigan A, Fulham H, Birmingham A, Burnley H, Liverpool A, Hull H), only Villa and Liverpool are truly tough games if you have real aspirations to be in the top four, and despite everything said otherwise that is the target. Somehow I don’t think Hughes will get a second attempt if he doesn’t achieve it this season in what is such an open year. 4. Hats off to Jimmy Bullard for the celebration of the season. In case you haven’t seen it, he gathered his teammates in a circle and mock scolded a la Tango Man last season. Ironically enough it was at the City of Manchester Stadium again. His return has been the main reason behind Hull’s resurgence and they may yet find themselves in a position like last where they weren’t very good but three teams were worse. He has brought a sense of fun back to the KC Stadium and fair play to Phil Brown for being able to see the funny side of Bullard’s celebration. 5. One of those teams will be Wolves unless Mick McCarthy goes. It took a while but it’s now clear that either the players or the manager aren’t cut out for this level. Time for either to prove that’s not true. 6. Birmingham have been doing well of late. They have been hard to break down since the start of the season but Alex McLeish has realised that by adding an extra striker and playing 4-4-2 he is far more likely to rack up the points that will lead Birmingham to safety this season. 1. Amazing to think that you can score five goals in a game and there can still be a debate over whether you were man of the match. Aaron Lennon’s performance against Wigan ensured that Defoe didn’t come away with all the plaudits, his sparkling play from the right playing a big part in at least half the goals. Defoe meanwhile became just the third player to score five in a game in the Premier League era and notched the second fastest hat trick after Robbie Fowler’s four and a half minute wonder against Arsenal many years ago. I’ve mentioned in recent weeks that he needed to watch his temper and just concentrate on his football, and with performances like that there’s no chance of him not going to South Africa. Lennon too did his case no harm, and on current form is far and away the best option when it comes to tricky small winger. Spurs’ goal difference enjoyed a big boost in terms of chasing Arsenal, while they are beginning to take advantage of Man City, Liverpool and Aston Villa’s inconsistency to open a little gap over those three. They face one of their rivals next week in Aston Villa but should have nothing to fear the way they are playing. As for Wigan the best you can say is that it’s just one game. These sorts of results can have a lasting effect, especially if you go behind in a game. It will be up to Roberto Martinez to ensure it remains a one off. High five, we're going to South Africa! 2. Would Phil Brown be fearing for his job if Jimmy Bullard hadn’t got injured in his first game after signing? His performances in the last couple of games suggest that may have been the case. A win over Stoke and a fightback from two goals down to draw against West Ham possibly indicates an improvement in fortune for the men at the KC. Even Tango Man himself seems to be less in the spotlight than usual. Bullard may have dodgy knees but he has an enthusiasm for the game that few players can match and his energy and creative play have got Hull scoring some goals again. They have a tough run coming up with three well organised teams in Everton, Man City and Aston Villa. Ok maybe not Man City but still! I’m pretty sure Geovanni isn’t injured and he appears to have lost his place to Bullard but I would be interested to see them both in the same team. Part of Hull’s success last year was to be brave, so maybe playing both together would have the same effect this year. 3. Before Arsenal get completely written off for losing against Sunderland (who have drawn with Man Utd and beaten Liverpool), let’s not forget that the key game is next week against Chelsea. Defeat would leave an 11 point gap; a win would leave it at just five with a game in hand. This defeat does render next weekend rather important if a title challenged is to be maintained. The lack of focal point without van Persie (and Bendtner) was a concern but it was in midfield where Sunderland won, with Cana stopping Fabregas and his teammates from creating many chances. In addition to this, a set play was once again Arsenal’s outdoing at the back with Darren Bent reacting quickest after the initial ball had not been dealt with (déjà vu anyone?) While such defensive frailties are a long-term malaise, Arsene Wenger must ensure that his patched up squad is mentally right for the Chelsea game. Win it and two easier home games against Bolton and Stoke follow and momentum can be formed. Lose it and another frustrating season could be on the cards. Pin the placenta on the van Persie. 4. They were impressive but it was only Wolves at home. Chelsea’s next two tests are the altogether tougher visits to the Emirates and Eastlands. Let’s see how the keenly the absences of Lampard and Drogba are felt then. 5. Liverpool and Man City played out a draw which leaves neither going anywhere fast. Man City have now drawn six on the spin which has stagnated them after a promising start. Just one win in eight games fro Mark Hughes’ side. A Hull side winless away from the KC provides the best possible opportunity to end that run next weekend. Liverpool have one win in six but their habit of winning games they don’t lose (Saturday was just their second draw) means they’re still in a good position. The pretenders to the top four ideally want a gap going into the spring as if Gerrard and Torres are fit for the run in, I know who I’d back to get the last Champions League spot. 6. 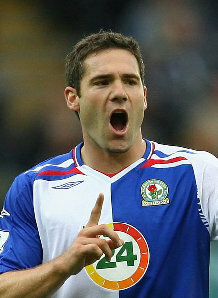 David Dunn is scored his fourth goal in six games and is playing the best football of his career. Someone left a comment asking what chance an England call for the Blackburn man. While I think he’s bit of a luxury and probably not quite international quality, there’s no doubting there are few more in form midfielders playing at the moment. There were a measly 33 goals last week (down from 37 the week before) and even a couple of clean sheets! Might the entertainment be winding down?! No, of course not but I do think slowly but surely we’ll start averaging under three goals a game. While there were a few 2-2 draws, it was Arsenal’s 6-2 demolition that really bumped up the average. I somewhat regretted bringing in Torres for Van Persie given their respective weeks (2 pts/7pts and a price rise) but while the Spaniard has a somewhat tricky run I think long term he will score more points. This week I am getting rid of one of my big two midfielders. Will it be Lampard? Will it be Gerrard? You’ll just have to wait till Saturday to find out, even though I actually made the change last Monday! Maverick approves of not having to produce a new image for Fabregas. Yes, I was lucky enough to watch Cesc Fabregas‘ destruction of Blackburn in person but not lucky enough to have him in my team when he once again scores 22 points for most and 44 for those sensible enough to have him as captain. Let me assure you that it will be third time lucky and I will snag that next high score. I hope! He took a different route to 22 this time via four assists, a goal and three bonus and thus wins the Top Gun award for the second time this season. I told you to get him for last week. I just wish I had taken my own advice. For what it’s worth Zayatte and Dunne were next with 12 and 11, the former achieving that rare feat of being a defender who gets taken off while keeping a clean sheet. 1. Fabregas or perhaps Arshavin/Arsenal – A case of after the Lord Mayor’s show? Perhaps, but that’s not to say Cesc still can’t get a good score this week. Birmingham are the visitors to the Emirates tomorrow and with their defence being pretty solid I think this may be a game where you pick a midfielder as captain rather than a striker. Fabregas will be rested after missing the second of Spain’s internationals for personal reasons and you have to fancy him to dictate things against Birmingham’s somewhat workmanlike midfield. Arshavin is a good alternative option as his dribbling skills might be the key to opening things up. His direct opponent is Steve Carr after all. 2. Berbatov/Man Utd – With Rooney possibly a doubt due to his calf strain, the onus falls on the Bulgarian to continue his good recent form of two in two and produce a match-winning performance against Bolton. Gary Megson’s side had a good result against Spurs last week but they’ll be no match for Utd at Old Trafford. Berba scored against Bolton last season and if his reputation as something of a small game player is anything to go by he should be a good shout in this match. 3. Dunn/Blackburn – A gamble but if you consider that he has three goals in four games and faces a Burnley side terrible away from home, it’s suddenly not that far fetched that he could have a good weekend. 1. Baines or Saha/Everton – I don’t really buy Heitinga despite his two straight assists. He’s an accident waiting to happen and I would avoid him. Baines on the other hand is very much to his Wigan form of a few seasons ago and has been for a while now. He has much of the set piece duty while Arteta is still out and with games against Wolves and Bolton coming up, has a good chance of clean sheets. Similarly, Louis Saha should relish facing those teams and will look to add to his five goals. He’s a good alternative at £7.2m if Bent is now out your price range. 2. Adebayor or Bellamy/Man City – Many of you will already have Adebayor in your team so this may not apply but he could be someone to bring in if you’re concerned over Rooney’s form or Torres’ run of games. Man City’s next four games are Wigan (A), Fulham (H), Birmingham (A) and Burnley (H) and while a couple of those sides are tough to break down, I’d imagine Adebayor will be the striker to get the goal in a 1-0 win. His price has gone back down to £10m too. Bellamy too has been on fire recently and fully deserves a starting spot. Between them they should be scoring the bulk of Man City’s goals in their upcoming fixtures. 3. Geovanni/Hull – About the only player worth having from Hull (though I suppose Zayatte merits a mention) and about the only player in form for Hull. He has two goals in two games and home matches against Portsmouth and Stoke coming up in the next few weeks. 1. Wolves players – Whilst the likes of Ebanks-Blake and Kightly have been making their comebacks for Wolves, their upcoming fixtures are horrendous. Everton (A), Villa (H), Stoke (A), Arsenal (H), Chelsea (A) is not a run where you can easily identify point scoring opportunities. I’m sure they’ll score a goal or two along the way but good luck trying to predict the scorer. 2. Upson/West Ham – Judging by the 10,000 people who have got rid of him this week, it seems he is in quite a few teams. West Ham have been a shadow of the side that did so well last season and have let in eight goals in three games. This is strange considering the 4-5-1 Zola employs but with games against Stoke away and Arsenal at home unlikely to bring clean sheets for now Upson is too highly priced at £5.7m to warrant inclusion. 3. 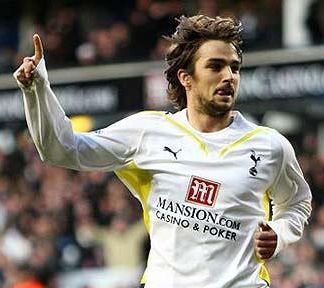 Kranjcar/Tottenham – According to Physioroom Modric is back next week apparently. Gameweek 6 and we’re beginning to establish who the top performers in this season’s game will be. I will more than likely be using my wildcard this week or next to set my team up for the rest of the season. It is early to use but considering I want to change at least four or five players and prices are rising every week I think it’s worth it. After all, you have to take some risks when the guy leading your private league is currently 6th in the world (out of almost 2 million players)! In Gameweek 5 Maverick couldn't have done better himself. Last week saw Liverpool winger Yossi Benayoun score a frankly ridiculous 24 points as Liverpool took apart Burnley at home. He got a hat-trick, assisted Kuyt’s goal, kept a clean sheet and with all that nabbed all three bonus points. His 24 was higher than the next two best players combined! (Reid and Roberts with 12 & 11) – I didn’t expect Fabregas’ week 1 marker of 22 to be beaten so early but congrats to Yossi. I don’t even think Ronaldo got higher than 24 in all his time dominating the game. 1. Van Persie/Arsenal – While the Gunners have had an inconsistent start to the season, not least defensively, they haven’t had too much trouble scoring goals. Wigan are beginning to improve under Roberto Martinez but I get the feeling they will come unstuck against Arsenal. Both try to play expansive, passing football, it’s just Arsene Wenger’s side do it better. It won’t be a thrashing by any means, but a comfortable victory in which you can look to Van Persie (or Fabregas) to get among the points. 2. Young/Aston Villa – Portsmouth have so far played five and lost five and I can see them adding to that total away against Aston Villa this weekend. Villa have won three on the spin and their new look defence is settling in nicely. Portsmouth have only once heavily but I think Martin O’Neill’s side will be too quick and powerful for them this weekend. Back Ashley Young to come up trumps in this match and perhaps reach double figures in points. 3. Lampard/Chelsea – Chelsea haven’t lost to Spurs at home in the league since 1990 and I don’t expect to change now. Man Utd showed last weekend that Redknapp’s side still have a way to go before they can compete with the big boys and I should think that Lampard will be at the heart of a routine Chelsea victory. 1. Maierhofer/Wolves – Signed on deadline day I believe and he scored on his debut last weekend. At 6’71⁄2” he is the new tallest player in the league and will no doubt cause many problems for the opposition (just look at that neck length). I believe Michael Kightly is nearing full fitness again and his crosses will be of importance if the Austrian is to be a success. At £5m he is worth a speculative punt as a third striker. 2. Diamanti/West Ham – Another striker who is perhaps worth a speculative add. The Hammers have only Carlton Cole and him so he should get plenty of minutes. He’s perhaps a little overvalued at £6m but he scored 13 times last season for Livorno and is one to keep an eye on if nothing else. 3. Dunn/Blackburn – In the two games he’s played this season he has a goal and four bonus points. I imagine most of Backburn’s good play will go through him. 1. Adebayor/Man City – Banned for at least two games and possibly more depending on how the second charge works out. 2. Keane/Tottenham – A regular feature in this section, but currently stuck out on the wing as Harry Redknapp slowly works out a way to drop his out of form captain. 3. Cana/Sunderland – I read somewhere this week that the Sunderland Echo has given him the man of the match award in three games already this season but he has yet to score a bonus point in fantasy. Just goes to show that some players get all the bonus point love. Say hello to your new teammates: Kevin Doyle, Ronad Zubar, Greg Halford, Andrew Surman, Nenad Milijas, Marcus Hahnemann. Close the door on your way out: Stephen Gleeson, Darren Potter. Predicted star: Slyvan Ebanks-Blake. A former Man Utd prospect, he moved to Plymouth and then Wolves and has progressed to a stage where he’s been top scorer in the Championship two seasons running. Still only 23, now is the time to see whether he can cut it in the top flight. Wolves’ attacking style of football will mean he gets plenty chances to score. Double figures in goals is certainly a possibility. Needs a big year: Mick McCarthy oversaw a dreadful Sunderland side last time he was in the Premier League and he’ll be looking to show that he can manage at the highest level. He finally got Wolves up at the third attempt of trying and he’ll hope that they don’t go straight back down. In terms of players, most will need big years if they are to stay up. How many can he score? One to watch: Nemad Milijas scored 22 goals for Red Star Belgrade last season while Michael Kightly provided 18 Championship assists. Expect to feature heavily in Wolves’ best play this season. What they want to happen: Survival. 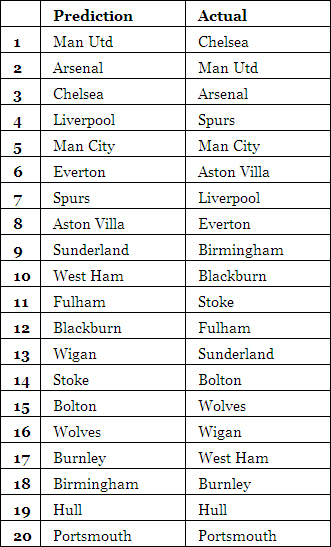 Nightmare scenario: Bottom while Birmingham or Burnley stay up. Plan A: A strong spine will be supplemented by plenty of flair players who will look to attack at every opportunity. Ebanks-Blake will need to convert a high ratio of the chances created for him. Plan B, just in case: We’ll score one more than you. Why? I always believe that promoted teams who go for it are more likely to stay up. 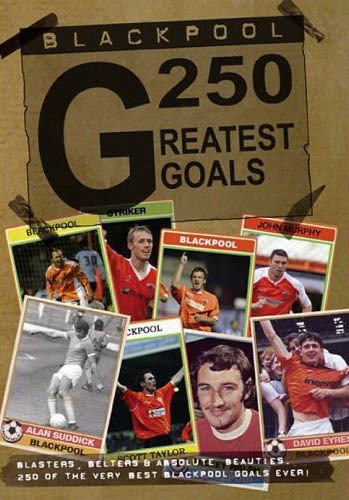 There’s no point being hard to beat but only ever picking up draws when you could go all out for a win every three weeks. In that respect Wolves have a great chance of staying up. Their defence is not the best but they have plenty of attacking options to gain enough wins to just about survive. Obviously not everyone will be able to transfer their Championship form to the Premier League but players like Ebanks-Blake should be able to make the step up. Kevin Doyle has already scored for Reading in the top flight and could form a good partnership with SEB. Cheer up, it could be worse. Kightly is an interesting prospect but I think they’ll probably end up relying on Milijas more. As I was saying the defence could be better (52 goals conceded last year) but the signing of Zubar should go some way to solving that. 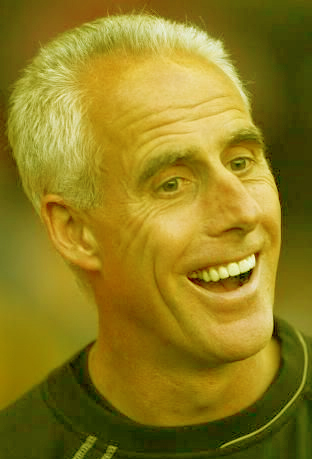 As for Mick McCarthy he should cheer up a bit. People do slate him and I’m not convinced he’ll be the one to keep them up but if he just enjoyed things a little more than the media perception of him might change.